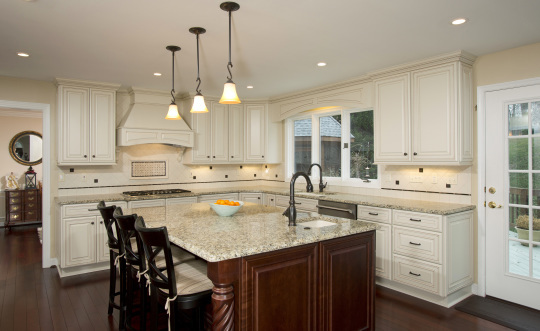 Brookhill is a Custom Kitchen Remodel in Vienna Virginia. EHD completely gutted the existing space making way for a Classic Kitchen Remodel and Eat-In Banquet. 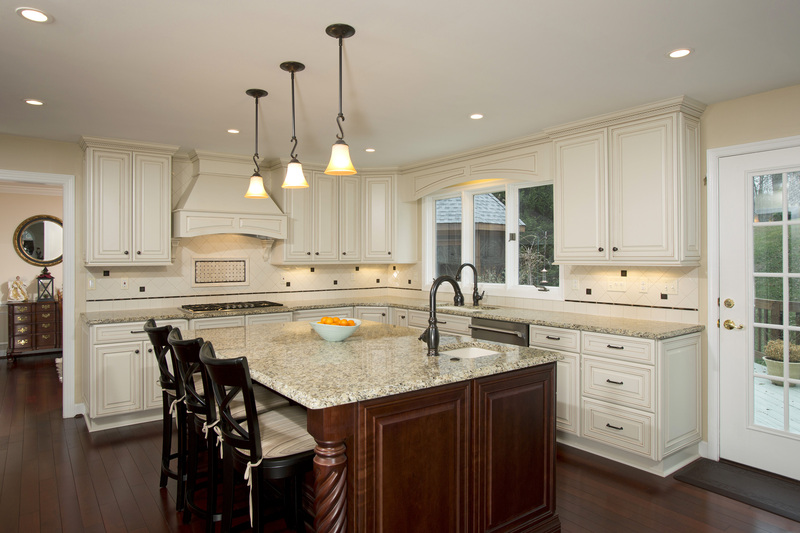 Our task was to improve quality from the existing builder-grade layout. We first attacked the poorly laid out appliances, freeing up counter space and added a banquet so that there were multiple areas to sit, relax and enjoy a meal. The Large appliances were moved into the corner of the Kitchen, so to give the Kitchen a light airy feel and an abundance of counter space. We also changed the flow of traffic from the kitchen to the Living Room so to anchor the Banquet and keep the room connected while subtly dividing the space.